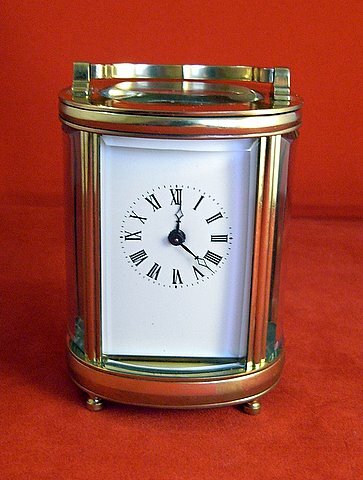 An early 20th century miniature oval French carriage clock, bevelled glass. 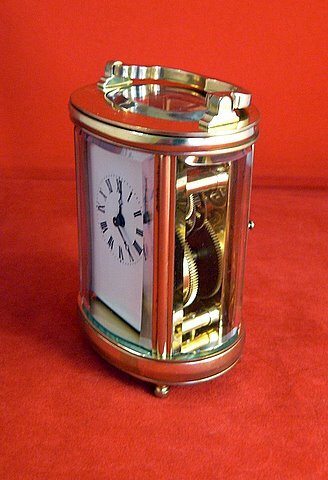 Eight day timepiece. Height 3".